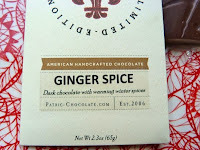 Today was Day #3 of Chocolate and Holiday Spice Theme Week. 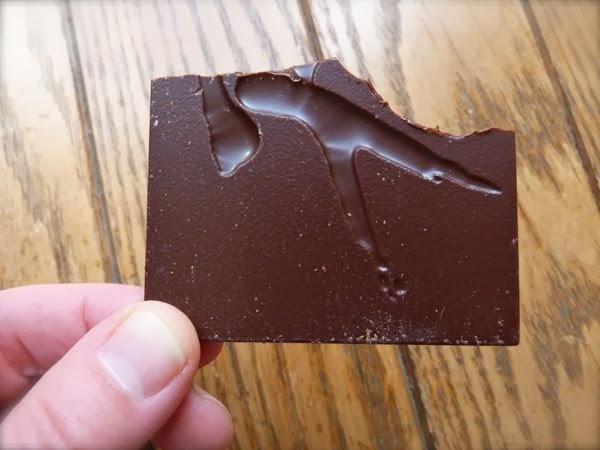 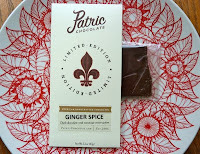 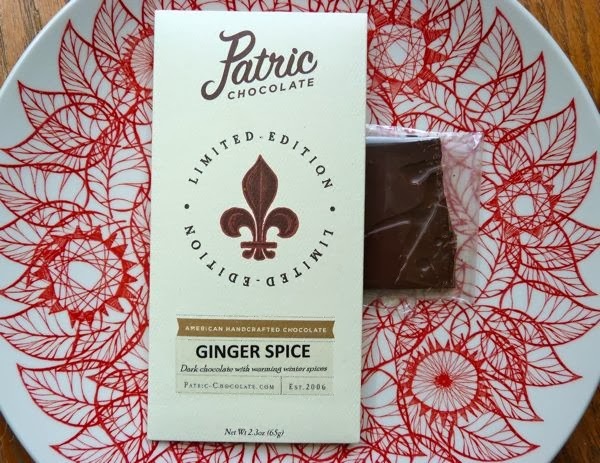 I don't know how Alan "Patric" McClure at Patric Chocolate (Columbia, MO) hand-crafts such great chocolate bars with layered flavors; but it certainly was a pleasure to taste his Ginger Spice Limited Edition bar today. 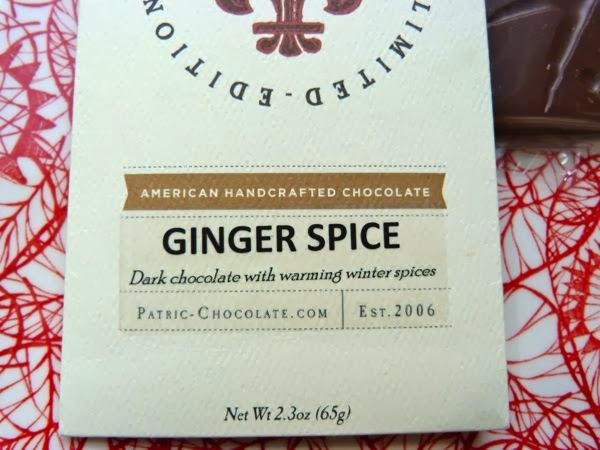 It was hard to think of better holiday dessert fare than these warming winter spices combined with great chocolate.